EDIS Integration — Summit Healthcare Services, Inc.
Quality of patient care in emergency departments is one of the most important aspects of a healthcare organization, and the IT team’s role is integral to ensuring high-level patient care with EDIS integration. Emergency department data capture must flow rapidly and seamlessly to the patient’s medical record in the HCIS. Orders, results, and medications administered must be integrated flawlessly between the HCIS to the EDIS, to give clinicians and staff the most rapid and accurate access to critical patient data. ADT and billing data integration is required, to keep patient demographics up-to-date, and to ensure accurate and timely charges for services. At Summit Healthcare, we understand the immense importance of continued improvement of patient safety. Our integration systems allow you and your team to take your organization to the next level of patient care. Increased efficiencies, improved patient outcomes, and complete electronic medical records of patient care are essential to your hospital’s operations landscape, and directly affect the quality of care administered in your emergency department. Our team of experienced professionals will leverage our years of experience and problem-solving to help you find and integrate with the best system. We will help you implement specialized EDIS vendors in order to provide the most robust and versatile system for your end users. The challenge of integrating these systems is often a time consuming challenge, and a massive drain on company time and resources. We are committed to providing you and your healthcare organization with seamless system integration and robust flow of data between your emergency departments and HCIS. See how Summit Healthcare’s EDIS Integration Solutions will benefit you today! Keep your data running smoothly and secure with rapid data transfer. 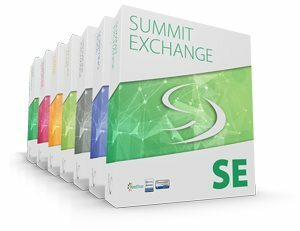 Leverage your investment in your existing interfaces by utilizing the power of Summit Exchange interface engine for seamless and robust system integration today!